It’s been a wonderful summer in Britain, and I’m still enjoying the Indian summer; but while some of you were basking on the beach, the work at Oversteps went on. Consequently, two new books have been launched in the last few weeks. This is a book to extend the joys of summer on into the darker time of year. It is full of humanity, and displays the full gamut of emotions, covering life from birth to death, with everything in between. There are also tantalising references to famous writers and artists of the past, including Botticelli, Chagall and Sylvia Plath. and the Second Light competition. Sue has recently been on holiday, but will soon be launching into a number of poetry readings. To call Mark a nature poet might be a little misleading. His poetry does, indeed, shine a bright light on the natural world, presenting us with unforgettable images of plants, insects, reptiles and birds. But Mark also displays a passionate and erudite fascination with words, and one of his endearing contributions to the world is to post a new weird and wonderful word each day on social media, giving his friends much enjoyment and an enhanced vocabulary. Mark broke all records for speed of first sales, and there must have been people out in the world ready to pounce as soon as his first book was published. 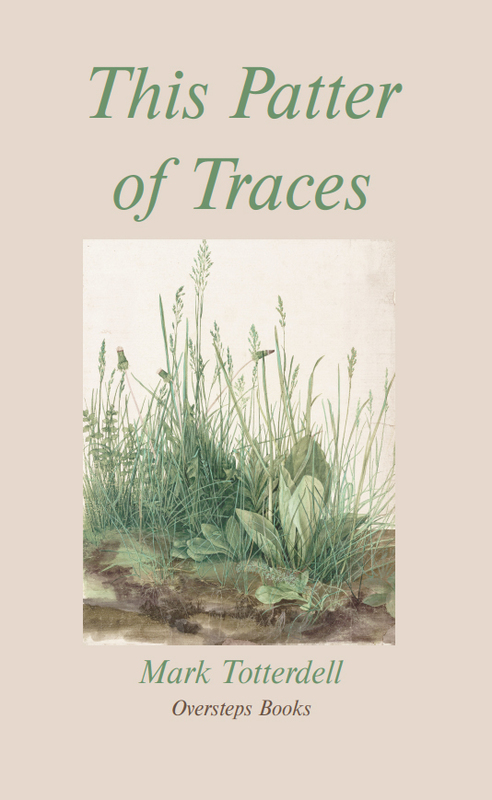 Copies of This Patter of Traces arrived from the printer on Wednesday afternoon, and by the time I had got the box open, five orders had already come in; and the trend has continued since then. Susan Taylor and Simon Williams, who have each published two collections with Oversteps, will be launching the second issue of their poetry paper, Broadsheet at the Exeter Literature Festival at the end of this month. A number of Oversteps poets are again represented in the paper. Mandy Pannett won 1st prize in the Barnet Poetry competition, won 2nd prize in the Segora competition, and was runner-up in the Cardiff International Poetry competition. This year’s Oversteps Day at Ways with Words at Dartington was another great success, with the Duke’s Room bursting at the seams as people crowding in to hear a wide range of readings. A C Clarke was commissioned to write one of the poems for the Commonwealth Games in Glasgow. She was shortlisted for the Ver Open Poetry competition; and wrote a two-part article on factual truth in poetry for Artemis magazine. Anne Stewart is the winner of this year’s prestigious Silver Wyvern prize at the Poetry on the Lake Festival in Orta, Italy. She will just have time to collect her prize before starting a Hawthornden fellowship.